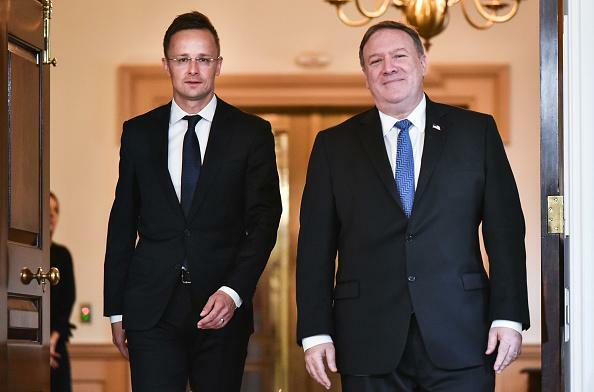 US Secretary of State Mike Pompeo has delivered a serious warning to Hungary’s Foreign Minister Péter Szijjártó in Washington D.C. In Budapest the government-controlled media claimed that the meeting was a “significant success” and the parties had discussed the situation in neighboring Ukraine. Szijjártó assured the American politician that Hungary would “defend the Hungarian community in Ukraine,” and informed the public that the US administration is a close friend and ally of Orban’s Hungary. It seems that Pompeo remembers the meeting differently. “The secretary underscored the importance of maintaining a vibrant civil society. The Secretary also emphasized the urgent need to help Ukraine in the face of Russian aggression, including the importance of facilitating and supporting Ukraine’s engagement with NATO, and the need to counter Russian malign influence in Central Europe,” State Department spokesperson Heather Nauert said Wednesday following Pompeo’s meeting with Szijjártó. Pompeo referred to Hungary’s proposed legislation that would make it illegal for private organizations to help migrants and would require organizations that accept foreign donations to register with the government. The Orban government calls this the “Stop Soros” law, referring to Hungarian-born American billionaire George Soros, a Jewish Holocaust survivor whose image is used to whip up nationalist and anti-Jewish sentiments. Hungarian media omits Pompeo’s comments about the importance of “a vibrant civil society.” In fact, pro-Orbán circles are hinting that an Orbán-Trump summit is “imminent.” In reality, Pompeo also warned Szijjártó that the US won’t tolerate a pro-Putin, pro-Iranian Orbán regime in NATO. Foreign Minister Szijjarto and Secretary of State Pompeo (from left) at the State Department, in Washington, D.C., on May 30. On May 29 Iranian President Hassan Rouhani warmly greeted Orbán on the occasion of his election victory. Rouhani voiced hope that the two countries will deepen bilateral relations “cementing the ties in various areas and implementing previous agreements” between the two regimes. Orbán has not yet received a congratulatory note on his re-election from the White House. Also the new ambassador who President Trump is sending to Budapest, Mr. Cornstein has already voiced that one of his priorities will be confronting Hungary’s rampant anti-Semitism. Author: György Lázár György Lázár came to the US in 1980 on a UNESCO fellowship to complete his Ph.D. at the University of North Carolina. He later moved to California where he became mesmerized by the entrepreneurial spirit of Silicon Valley and spent the next 25 years in high-tech consulting focusing on the financial aspects of technology. 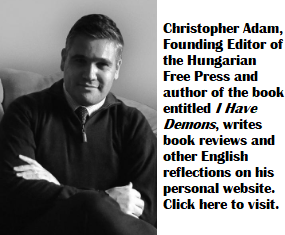 In the last couple of years he became a contributor to several Hungarian and English language publications. He and his wife enjoy spending time in Hungary, they try to go to Europe as often as they can. Orbán appointees in such organizations are also a security risk, as it seems the NATO officials start to worry about. And not before damn time as duplicity and treachery are a distinct pattern here, remember the “semi-Asian derivativs”. Exactly like Orbán and his crooked cohorts ! Orban should tell Pomeo to mind his own business. Help him try it. Why not tell Trump? It will be funny to see what happens when bovis tells off Iove, or the mouse that roared, ha , ha. With old Finkelstein sidekick Cornstein in Budapest, the Trumps will have a wonderful back channel to Vladimir, and the markets of Russia. As Orbán said in that recently leaked cabinet meeting, he has three political friends, the Presidents of Russia, America and China, why should he worry ? The only reason Orbán has been kept waiting, is the Mueller investigation. The faint Hungarian-American “embers” (pun intended) mustn’t be “fanned”. (pun intended again) By embers, I mean Finkelstein and his numerous surrogates in the Trump campaign (Manafort, Jo Anne Barnhart, Roger Stone, Connie Mack IV, etc), Carter Page, JD Gordon, and the Orbán government’s own anti-Hillary “embers” orchestrated partly by then Hungarian Ambassador Réka Szemerkényi (who was quickly yanked out of the limelight, to destroy any evidence of improper conduct, especially after the ambassador began openly bragging about being in possession of the best channels to Trump in Washington. That was a dead giveaway. No wonder Mr. Orbán was lost for words, when he was asked the reason for her removal. I have to disagree with my colleague, Mr. Lázár. Appearances can be deceiving. Take a look at Mr. Pompeo’s picture. A picture is worth a thousand words. Mr. Orbán will be rewarded with a warm handshake in the Oval Office, especially now, that he has thrown 80 billion forints into the deep pocket of the American military industrial complex. He may be a paper back rider, but he has a ticket to ride. The pie is still in the sky, for Hungarian democrats. THANK GOD IN, 1956 FORMER JUGOSLAVIJA OPENED UP IT’S BORDERS AND EMBRACED HUNGARIANS. RECENTLY I have moved from UK 🇬🇧 to hungary. I am faced with 24/7racism,property damage, threats by hungarian neighbour’s. Are you serious? This is (was) not typical. Which part of Hu, how big a settlement do u live in? AND Hungary opened the doors to Yugoslav refugees during the 90’s civil war. Around 60,000 in the first year alone. Seeing everyone throws this 1956 business at Hungarians all the time. I find it highly unlikely, especially since we have a Serbian minority who don’t have any issues in Hungary, unlike ethnic Hungarians in Vojvodina. I am wondering what @ljiljana Stajic has said to his neighbors. I also had my doubts about her experience, hence my asking, but things may have deteriorated with orban’s meddling in Vojvodina.